8 Timber effect wood grain sliding sash windows installed. The original single glazed, wooden box sash windows with traditional pulleys & weights were removed from this property in Sheffield. 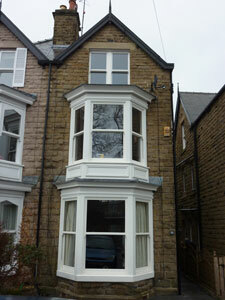 Timber alternative, A rated, sliding sash windows were installed. 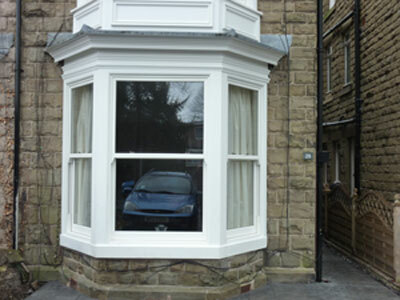 The bay window timber surrounds were re-built with hardwood and then painted.